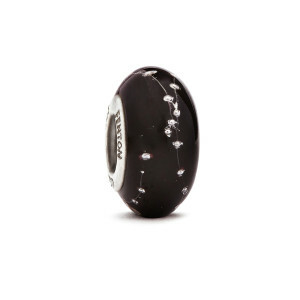 Try out this beautiful Elvis-themed black bead to compliment your Elvis-themed bracelet. Compatible with most major brands of charm bracelets. 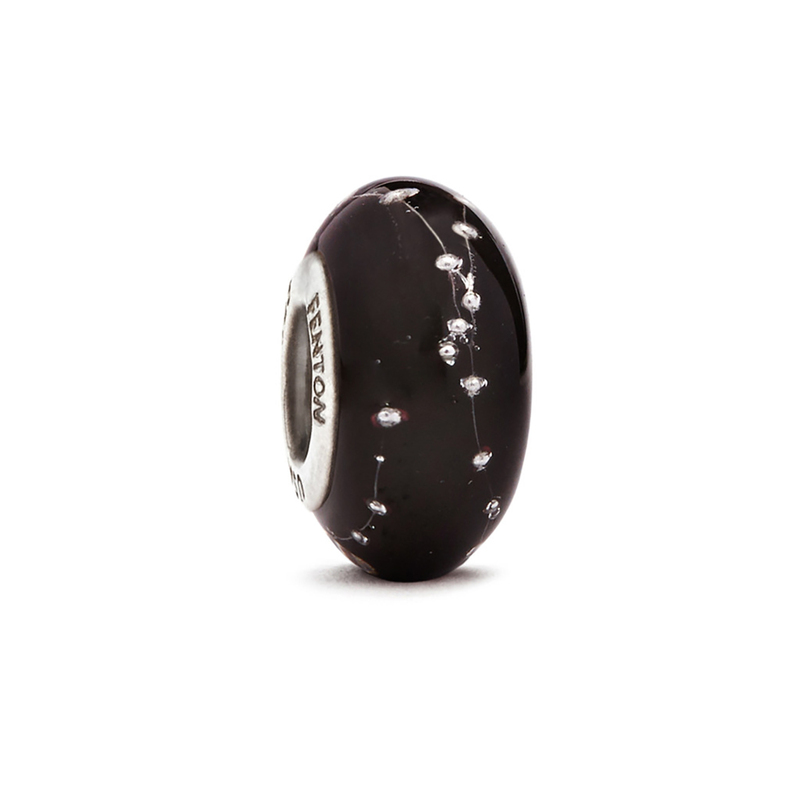 Made in America handcrafted Precious Metals bead approximately 3/16'' sterling silver core embossed with Fenton USA. Handmade beads size may vary from 1/2'' to 5/8'' in diameter.